Terminating probation is applicable to both felony and misdemeanor cases. The process entails filing a motion made under PC 1203.3(a) to terminate probation with the sentencing court outlining the reason(s) why the petitioner should be granted relief. It’s a discretionary motion where the judge is given wide latitude to deny or grant the motion. The court places a defendant on probation for the purposes of retaining jurisdiction. Moreover, if a defendant were to avoid a probation sentence, the court would lose the ability to impose court ordered obligations. Additionally, from the courts perspective, probation is the period where a defendant reflects on their crime and moves towards rehabilitating themselves. Therefore, petitioning for early termination of probation requires proof that a person has been fully rehabilitated and will remain law-abiding after probation is terminated. Those seeking to terminate probation in Los Angeles may also be interested in reducing a felony to a misdemeanor, expungement, or petitioning for a certificate of rehabilitation. In many instances, these post-conviction remedies can all be done in a single hearing. WHAT IS THE PROCESS FOR TERMINATING PROBATION EARLY? The process begins with submitting a motion to terminate probation along with a memorandum of points and authorities. The memorandum should include the updated law and include the reason(s) why the motion should be granted. In addition, it may also be helpful to include character letters, awards, and certificates of achievement which will all help reflect that a petitioner has substantially changed since their offense. The compiled motion is then filed in the sentencing court where a hearing will be held. The prosecuting agency must be served with a copy of the motion and allowed an opportunity to contest the petition. At the hearing, both parties will present their arguments before the judge who will thereafter render a decision. If the judge grants a motion to terminate, then probation is terminated forthwith. WHAT FACTORS WILL THE JUDGE CONSIDER? WHAT ARE VALID REASONS FOR SEEKING EARLY TERMINATION OF PROBATION? WHAT SHOULD BE SUBMITTED TO THE JUDGE? If the judge grants a petition to terminate probation, it’s common for petitioners to immediately seek an expungement. 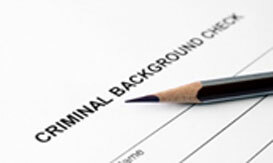 Once probation terminates, a defendant is entitled to seek an expungement. Obtaining such a remedies requires filing a specific petition requesting the conviction be dismissed under Penal Code 1203.4. If the court grants your petition, the conviction will be set aside and thereafter dismissed. Most petitioners seek this remedy because of the benefits it carries when applying for employment in the private sector. If you’re seeking to terminate probation early then it’s important to retain a skilled Criminal Defense Attorney familiar with the procedure and even particular judge. A petition should be carefully submitted that would help appeal to the judge in effort to terminate probation. Therefore, contact the Law Offices of John D. Rogers for a free consultation. We handle probation termination petitions all throughout southern California and we’re familiar with each courthouse. Our office can tell you just over the telephone if you have a viable argument to terminate probation.